Whenever we get a new client, they become a part of the Kathy Ann Abell Interiors family. After all, they allow us to bring our creativity and influence into the place they call home, the very space where they make memories and live everyday life. So, of course, whenever we get the chance to revisit a past client, it’s like visiting another part of our design fam. This next project meant visiting longtime clients and friends who, after having us design most of their home over the years, called us in to do something special for their own family…their two kiddos! 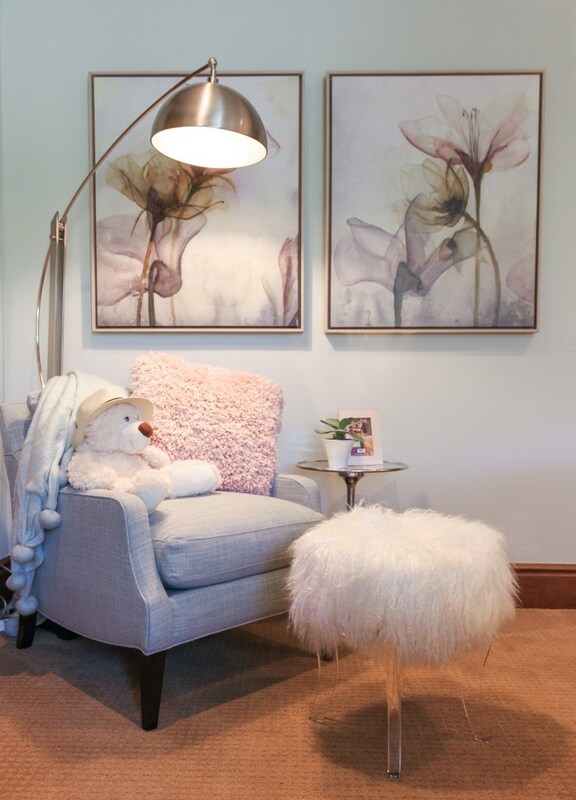 Now, while a master bedroom might be all about relaxation, a kid’s room is all about vision! It might be based on a favorite color, a special jersey, or the princess that currently takes up the T.V screen every morning. And, really, it’s all about making a kid feel like it’s their very own special place. The first room up was for a very sweet girl. Her requests were the colors of light pink and mint, or, in her own words, “I want my room to have the colors from this sign, please,” as she held up a little portrait with a painted mint green bike on the front, complete with a basket of pink flowers. (See inspirational sign below). 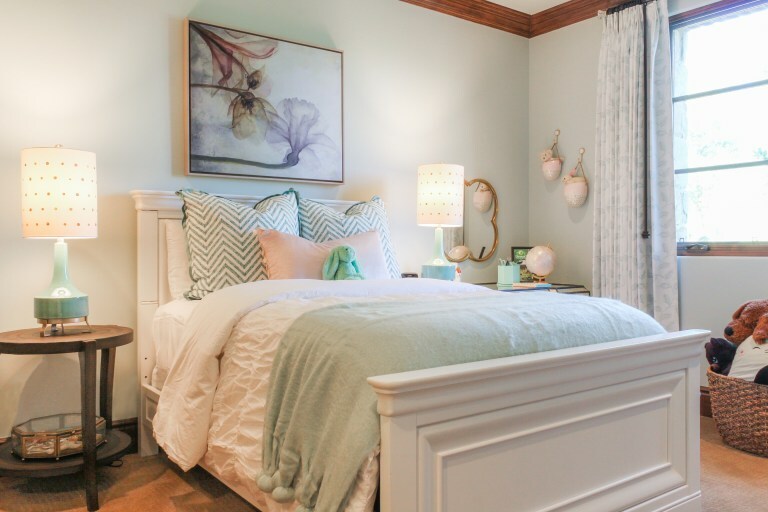 Her wish was granted by painting the walls “Sea Salt” from Sherwin Williams, and adding pink and mint accessories along with custom pillows and drapes. This cute bike sign was the inspiration for the whole project! 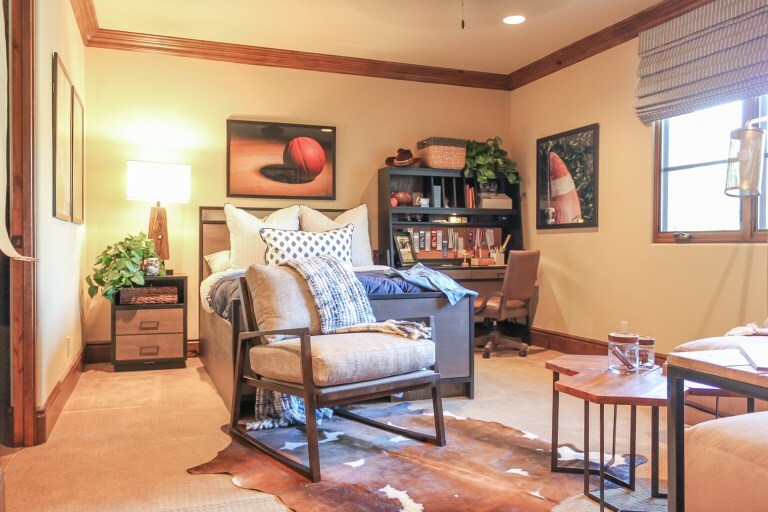 For their son’s room, we kept to his favorite theme–sports! 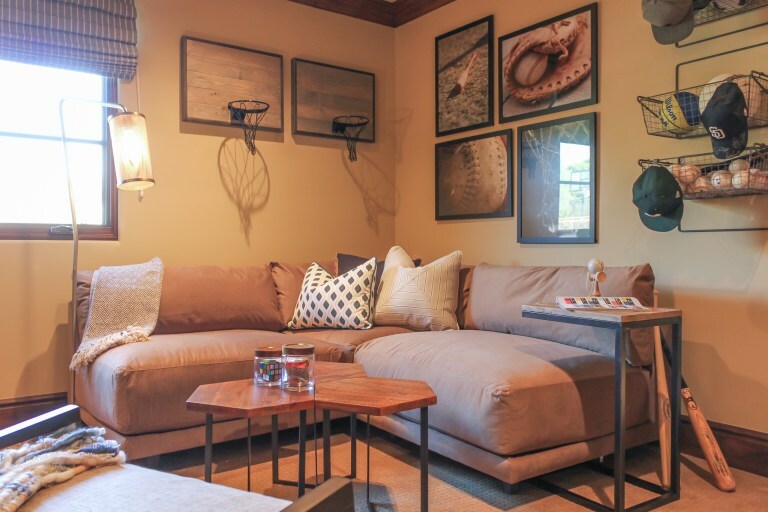 Through art, cool knick-knacks, and a lounge area we created a space perfect for just hanging out. We also added custom pillows and blinds to create a more unique and cohesive look. What a fun project! We gotta say, we had a ball creating these special rooms for two sweet kids. The best part, of course, was seeing how much they truly loved the outcome of their very own spaces. Thank you for reading!